Before one can receive the Sacrament of Baptism, it is necessary to receive instruction concerning the faith. In the early Church, that could be a three-year process for an adult seeking baptism. 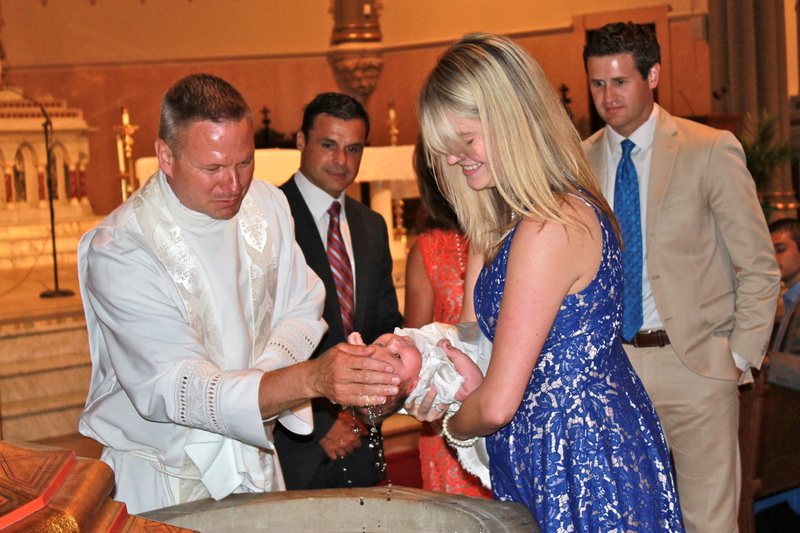 In infant baptism, the process is somewhat reversed. The child receives the sacrament and the implications and meaning are un-packed as he or she grows and fulfills the true meaning of the sacrament. Thus, it is the Church’s desire to offer preparation and instruction for the parents. It is through the lived example of both parents and godparents that the grace of the sacrament will take hold and bear fruit in the life of the child. ​​All of the above information applies to baptism of an infant or young child only. If you have a child to be baptized who has reached catechetical age/the age of reason (Grade 2 or 7 years), you and they will receive different preparation. Having sufficient understanding, the preparation will now be for the full complement of the Sacraments of Initiation: Baptism, Confirmation, and Eucharist. If you have any questions, please contact Deacon David Bartolowits at david.bartolowits@stjohnsindy.org or by phone at 317-635-2021.